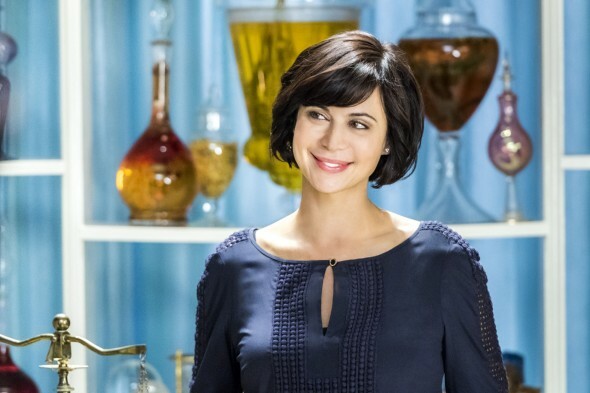 Good Witch just finished its fourth season, but will there be a fifth? According to an inside source, the Hallmark TV show is set to begin season five production soon. The light drama stars Catherine Bell as Cassandra “Cassie” Nightingale, good-hearted enchantress who lives in the community of Middleton with her teenage daughter, Grace (Bailee Madison). The cast also includes James Denton, Catherine Disher, Anthony Lemke, Peter MacNeill, and Kylee Evans. While Hallmark Channel has yet to announce a season five renewal for Good Witch, an inside source says season five is scheduled to begin shooting in Toronto this August. What do you think? Are you a fan of Good Witch? Will you watch season five? More about: Good Witch, Good Witch: canceled or renewed?, Hallmark Channel TV shows: canceled or renewed? I absolutely LOVE this show, and I hope that Hallmark will continue it. It is a great family show. Please do not cancel it! My wife and I both enjoy Good Witch ,, please continue to film the show!! PLEASE keep this show going.. it’s a great FAMILY show and I love the story lines… PLEASE PLEASE KEEP IT COMING! Love the show – light story line – relaxing – no cussing, no killing -KEEP THE SHOW ON!! Love this series!! Will continue to watch as long as Hallmark will continue to film. Yes, We love the Good Witch and you have left us hanging! I’m waiting for the new season. Excellent Series!!! I hope the show is renewed. I love Hallmark channel’s and the Good Witch is my favorite show. Plus I want to see Cassie get married and all the new sceniro that can bring.